If you think it’s time you got a new watch then look no further! 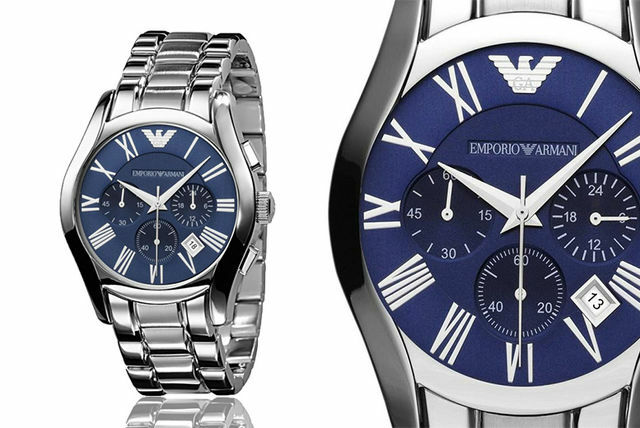 With a cool blue dial with bold, white Roman numeral markers and silver stainless steel case you’ll be turning heads wherever you go – perfect for a gentleman who likes to dress to impress. Get a Armani AR1635 watch! From the renowned Italian fashion designer! Solid and durable silver stainless steel case. A cool blue dial and bold, white Roman numeral markers. Three sub dials and date marker and smooth quartz movement. Comes in a gorgeous presentation box.